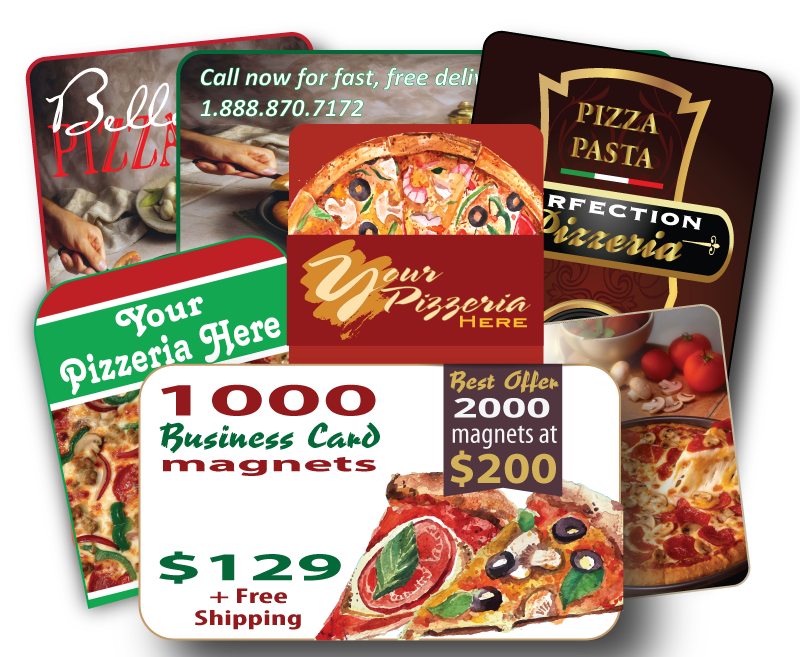 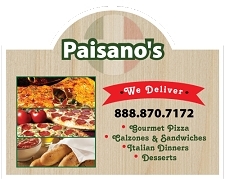 Our round-cornered business card magnets are the most inexpensive marketing tool you can purchase for your pizzeria. 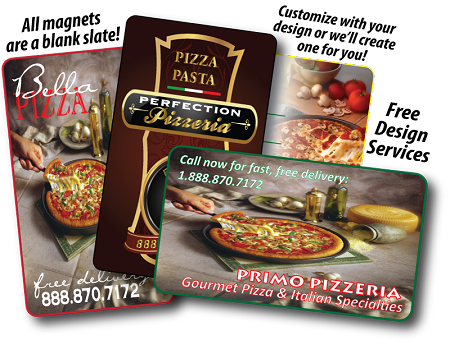 Include your logo, contact info, hours, specials, coupon...there is plenty of space to promote your restaurant. 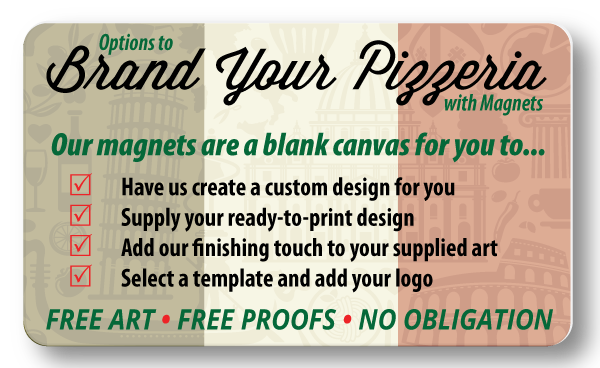 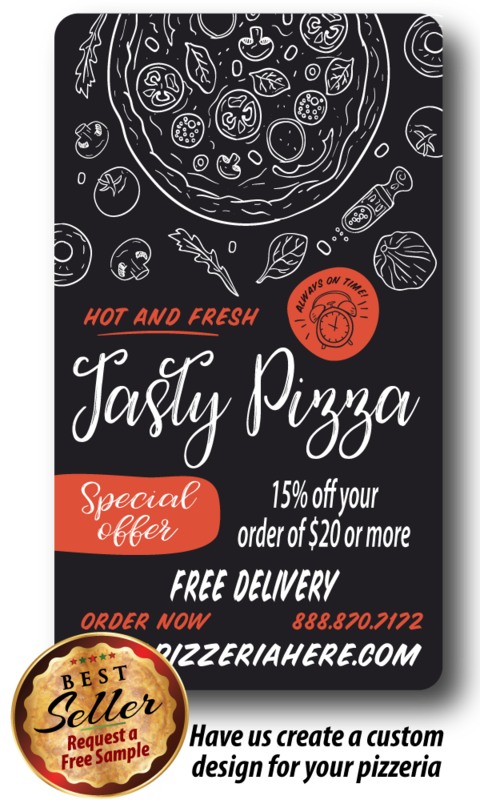 Need some ideas?...check out our Designs Ideas section and select from one of our pizzeria-themed templates or have us design something custom and unique that will get your pizzeria noticed.